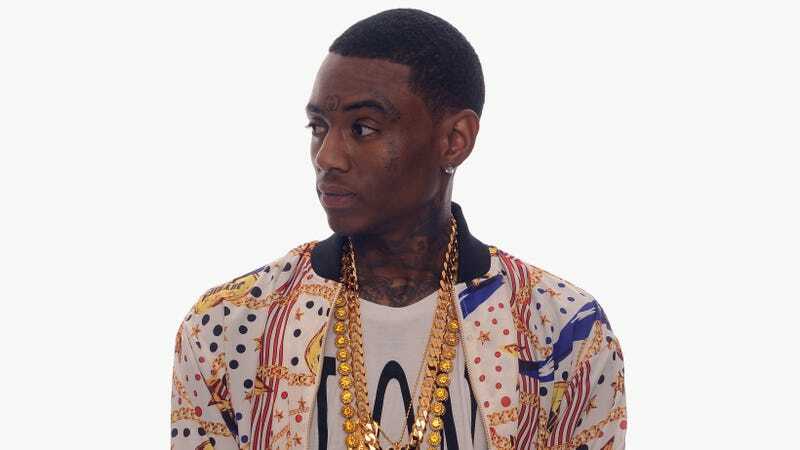 On Saturday morning, a woman named Kayla alleged that Soulja Boy kidnapped and assaulted her, causing her to suffer three fractured ribs and a concussion, TMZ reports. According to “sources familiar” with the situation, Kayla pulled out of Soulja Boy’s driveway at his Agoura Hills, California home around 2:30 a.m. Saturday morning, when she hit the curb and got into a fight with the rapper’s assistant. Soulja Boy, real name DeAndre Cortez Way, came outside and, Kayla alleges, punched her, kicked her to the ground, tied her to a chair using an extension cord in his garage and left her there for six hours. When she was freed, she reported the incident to the police and went to a hospital, where she learned the extent of her injuries and was discharged later that night.